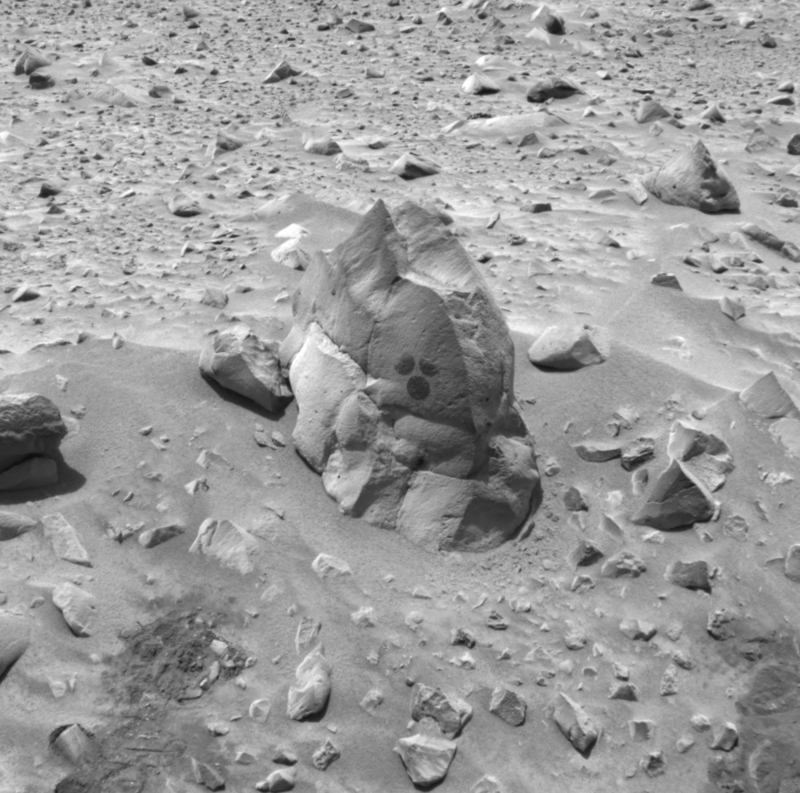 This image taken by the navigation camera on the Mars Exploration Rover Spirit shows the rock dubbed "Humphrey" and the circular areas on the rock that were wiped off by the rover. The rover used a brush on its rock abrasion tool to clean these spots before examining them with its miniature thermal emission spectrometer. Later, the rover drilled into the rock with its rock abrasion tool, exposing fresh rock underneath. this mark makes me think about life in other planets. and I'm afraid there exists life in our galaxy. sorry for my bad english.I'm only a kid from Spain. I know I can't change opinions about things we can't see, we can think a lot of things about one matter, so this is my poinion.